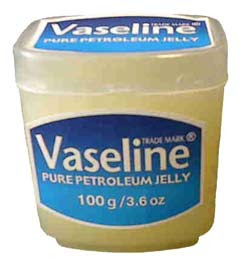 Now personally, I have never really been crazy about Vaseline, yes, yes I know blasphemy! But honestly, I never felt it did anything for me. It doesn’t really moisturise my lips (especially in winter) or body and most of the time I just feel that it just sinks on top without sinking in. I find I only really use it when there is nothing else there or if I feel the need to tame my eyebrows. So why the sudden obsession you ask? Well it started like this, the other day while having a girly night out with a friend, she decided she didn’t quite like her eye shadow and wanted to change it. Me being the loving friend that I am, I was like yeah, sure, fine….anyway fast-forward a little bit, I suddenly notice that her eye makeup seems to be coming off quite easily, I rush forward eagerly, thinking oooh is that an amazing new eye makeup remover I have never heard of? And realise that no, it’s actually Vaseline! Cue my shocked expression!…how do I not know this? Anyway fast forward again, to me now sitting at home in front of a mirror, trying out my new Vaseline trick. And guess what it works! My eye makeup came off really easily and it was extremely gentle with no irritation whatsoever. You have to work a little harder on the mascara – but even that seemed to come off really well too. I wouldn't recommend using it to remove you face makeup though. All that petroleum on your face is a big no no. So where was I? oh yeah, well after the wedding – lets just say I was tired in a major way from all the running around and thankfully I had flung these wipes into my huge bag as I knew I would get home and want to crash out. The thing about me is I cannot sleep with makeup on, whenever I do, I end up waking up at some ridiculous time, usually around 3am needing to wash my face and then I can never fall back asleep after that!! So not wanting to have to go through that rigmarole in my tired state, I tried out these wipes and I must say I really like them. They were so soft, and felt quite hydrating which I don’t usually find with most wipes. They also seem quite gentle, not at all irritating and I love that not only do they contain natural extracts of green tea to tone your skin but they can also be used on the delicate eye area. The down side is there are only 15 wipes in a pack which means it’s bound to finish quite quickly and I still had to wash my face afterwards. To be fair though, I do that with any wipes as I never feel my face is really clean unless it’s washed properly. I did however feel that the wipes did quite a good job at removing the main layer of makeup and the wash was just a follow up. Thankfully this meant I was tucked up in bed 10 minutes after getting home. The wipes retail at £4.89. Yes Vaseline rocks! It has always been a part of my life in some way. I used it for my eyebrows and never leave home without applying it. I don't feel right if I do.